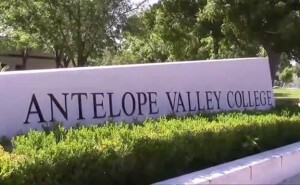 LOS ANGELES – A bill providing funding for an Aerospace Institute to be housed at Antelope Valley College was unanimously passed Friday by the Senate appropriations committee. SB 1356 would allow an annual appropriation of up to $500,000 in matching funds for the Aerospace Institute at Antelope Valley College if and when the college has received a certain level of private contributions, among other criteria. “The Antelope Valley is home to California’s aerospace industry, an industry that directly supplies over a half-million mortgage paying jobs in California with average salaries over $100,000,” said Sen. Scott Wilk, R- Antelope Valley, who announced the bill’s passage. The aerospace industry does more than $61 billion in economic activity within the state. However the industry relies on highly skilled staff with specialized skill sets. Without an appropriately skilled and educated workforce, the industry tends to relocate to areas or the country where the employee pool is deeper and more accessible, according to Wilk. The bill will now go to the full Senate for consideration. All bills that originated in the Senate must be passed out of that house by June 1. 10 comments for "Measure creating Antelope Valley Aerospace Institute advances to Senate floor"
Not sure Marv Crist will like this. Every time Crime goes up in Lancaster, he says it’s because Lancaster is a college town. You think it’s bad in Lancaster now, wait until they put in a real university. Fat, drunk, and stupid is no way to go through life. Although it will take you to high places in Rexville. Large contractors just charge the American people more, they already own the important land, the air strips and hangars they produce and test things in, plus surrounding land they lease out to farmers and others. Mojave a diverse small aerospace company environment. There are, what, like 4 or 5 rocket design companies there, several small airplane builders, and of course the storage yard and parts businesses. Let us not forget SpaceX in the heart of Los Angeles, always looking to expand! And doing so. That is just the local area, Orange County, the Inland Empire area, the Bay area, all have robust aerospace and airplane industries. Stop drinking the political kool-aid. Get out and explore. Mojave is NOT a major aerospace hub. I used to work in Mojave for Flight Systems and there isnt anything major going on there! Sure you got Burt Rutans company which is now owned by Northrop Grumman. The SpaceX company sits on land next to Hawthorne Airport which used to be owned by Northrop and they offloaded it and moved their headquarters out of Century City and to Virginia. Boeing has pretty much left California and most of the big corporations have moved to Texas. SIte 4 is owned by Air Force NOT NG. Boeing is not there anymore and the old Rockwell B-1 sites are now movie studios. So DONT DRINK THE PELOSI AND MOONBEAM KOOLAID and look around you. Both Northrop and Lockheed are thriving, adding thousands of jobs to their Antelope Valley payrolls. Aerospace will be here in the Antelope Valley for DECADES to come, Mr Fred. “Liberal politicians create a non business like environment” I bet $1,000 dollars you couldnt elaborate that statement if your life depended on it. Oh Fred….Aerospace is booming in our wonderful Mojave desert. Too many great projects to mention, Fred. Let us not forget Mojave, and all that is going on there. You can look it up, Fred. Great. Now get the AV its own CSU campus as well. This will be excellent for this place if they can get this thing going. Good job!! !